I know that the title of this blog may be a bit confusing since a WordPress developer and web developer are essentially synonymous. If you’re looking for someone to build or work on a WordPress website then understanding the difference of the two is not only important but critical. Let me explain the key differences between the two and why you should consider hiring a WordPress developer rather than just a web developer to work on your WordPress website. An important point to underline is that updating your WordPress theme is extremely important as it usually includes security patches, new functionality, site optimization among other benefits. When WordPress releases new version updates these typically involve updating it’s core files. Think of it like Microsoft updating your operating system. A web developer may understand the languages that comprise WordPress (PHP/CSS/JS) however they may not understand the file structure and which files can be edited. On the other hand, a WordPress developer (who is also a web developer) knows which files can be modified making future WordPress updates a worry-free process. Hiring someone who is not familiar with WordPress can post a serious risk since they may not know which files to work with and overwrite the WordPress core files in order to make changes to a website. When installing a new WordPress theme it typically comes with two folders which include the Parent theme folder and the Child theme folder. Understanding the difference between these two theme folders is extremely important for anyone who is modifying a WordPress website. 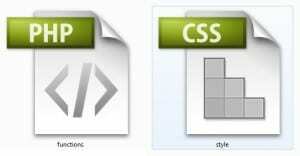 The child theme folder typically contains two files which include the functions.php and style.css. These are the two files you typically add all your new code to. In some cases I will add CSS code through the WordPress dashboard. But just as it’s imperative to never overwrite WordPress core files the same thing goes for the Parent theme files. Since updates are performed on themes, updating the parent folder should have no affect on any customizations or code that have been added to the child theme folder. When working with a WordPress website there are generally two theme files that need to be updated. The child themes style.css file and functions.php file are located in the folder /wp-content/themes/ and usually include the word child. The style.css updates is the CSS file where you would add any of your theme style changes. It’s fine to add inline CSS in your WordPress pages but I would suggesting centralizing all your code by keeping them in one place. The core files in WordPress are typically updated or overwritten when new updates are released. So if a freelancer has edited any of these files then you can kiss those changes goodbye. Years ago I worked for a couple of web development & internet marketing agencies in Toronto who would tell their clients never to update their WordPress. At the time I never understood why until I later realized that they were editing core files and that one simple update would cause a catastrophe. This is why I recommend always running a backup before working on a website you have never worked with before or better yet running the updates in a different folder or environment. Updating WordPress requires a click of a button in the dashboard but this process could potentially break a site if the wrong files were modified during the development or modification of a website. 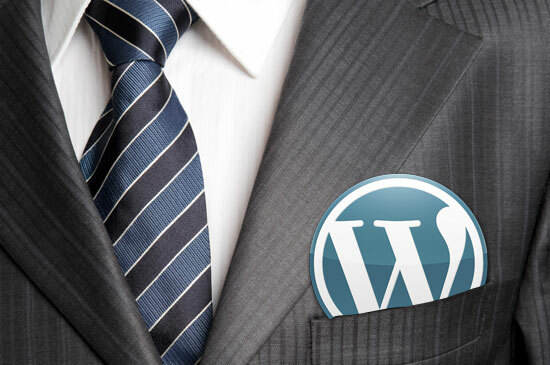 If you own a WordPress website and are looking to hire a someone to make changes on your website or looking for a custom WordPress website it’s very important taht you hire someone who is familiar with the WordPress file structure. Many past NexToronto clients thought they could outsource to save money and hired web developers who did a poor job modifying or developing their website and the end result costed them more money to fix the issue.